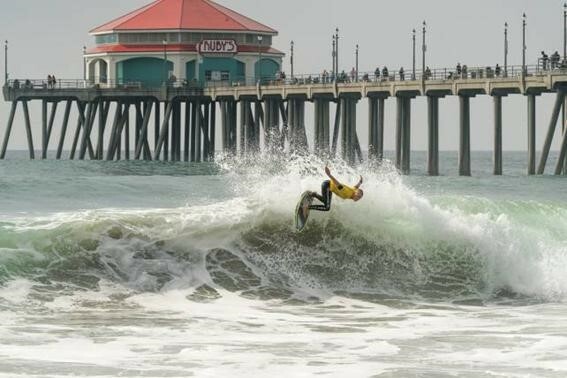 Members of the South African team posted mixed results in the glassy head-high waves on offer for Day 3 of the VISSLA ISA World Junior Surfing Championship being staged on the South Side of the Huntington Beach pier in California on Monday. 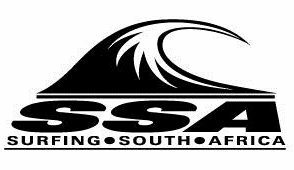 The eight South Africans in action recorded four heat wins, one runner-up berth, three third place finishes and a fourth place as organisers completed the remaining Main Event Round 1 heats and most of Round 2 in all four U18 and U16 boys and girls divisions. Gabi Lailvaux (Westbrook) opened her account at the event by grabbing second place in a low-scoring U18 girls Main Event Round 1 heat, but could not maintain her momentum in Round 2 where she placed third and dropped into the Repecharge stream. Zoe Steyn (East London), who is representing the country in both the U18 and U16 girls divisions, came out with all guns blazing in her Round 2 U18 girls match-up, delivering a heat-winning, double-figure total of 12.63 (out of 20) to finish ahead of Summer Macedo (Hawaii), the winner of the U16 girls division in 2015 and one of the favourites for the gold medal in the U18 division here. But it was a different story in Round 2 of the U16 girls as Steyn placed fourth and she now faces the prospect of multiple cutthroat 15 minute Repecharge heats in which any result other than first or second will mean elimination from the event. Kayla Nogueira (uMhlanga) produced a confident opening performance to win her first heat in the U16 girls and will be among the first in the surf for her Round 2 encounter, where she will be joined by Ceara Knight (Scarborough) who did not compete on Monday. In the U18 boys, Luke Slijpen (Hout Bay) racked up his second heat win of the event to progress to Round 3 and the last 32 in the Main Event. But Angelo Faulkner (Jeffreys Bay) will have to battle his way through the Repecharge rounds for the rest of the event after finishing fourth behind opponents from the USA, Italy and Brazil. Mitch du Preez (East London) emulated his teammate Slijpen with his second successive heat win in the U16 Boys, outscoring competitors from Panama, Italy and Puerto Rico. But the vagaries of the seeding system saw Durbanites Tide-Lee Ireland and Luke Thompson both relegated to the Repecharge stream following their third places behind team members from traditionally heavyweight surfing nations Brazil and the USA. Tuesday’s action will see the first eliminations among the record setting 361 athletes from 44 nations in the event when the Repecharge Round 1 and Round 2 heats are run for U18 boys and girls and Repecharge Round 1 for U16 boys and girls. The waves are forecast to increase in size during the day with light winds predicted. Action at the VISSLA ISA World Junior Championship can be followed live on www.isasurf.org starting at approximately 4.30 pm South African time daily.